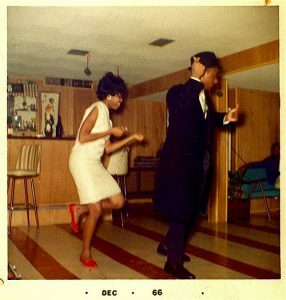 San Fernando Valley real estate listings from the early 1960s through the mid-1970s, and particularly 1963-1975, demonstrate a proliferation of rumpus rooms, but were they really rumpus rooms at all? Mid-Centurions on the other side of the Mississippi River claimed rumpusing was done in a basement. Exemplar of possible east coast Rumpus Room. Downstairs rumpus rooms almost exclusively featured a bar, surrounded in some type of faux wood paneling. Brightly colored upholstered bar stools were a must by the mid-1950s. 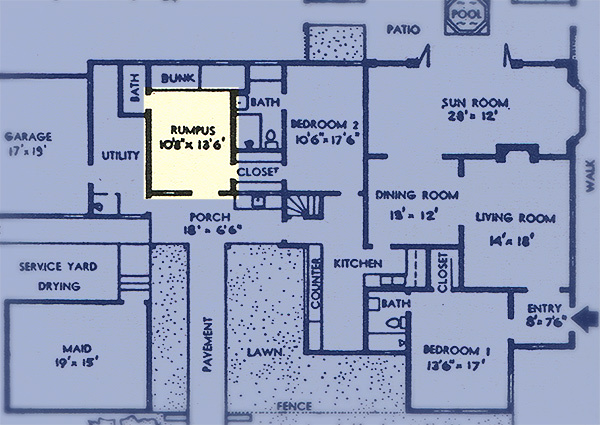 Downstairs rumpus facilities were proclaimed larger areas than a living room. Family rooms for television watching did not exist when the era of downstairs rumpusing began. Did the lack of television reception put the kibosh on these places of leisure, or did television end the debauchery of rumpusing? 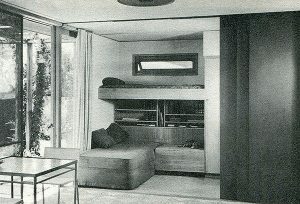 The May 1947 edition of Sunset Homes for Western Living shows the architectural plans for a 10’8” x 13’6” rumpus room shown below. 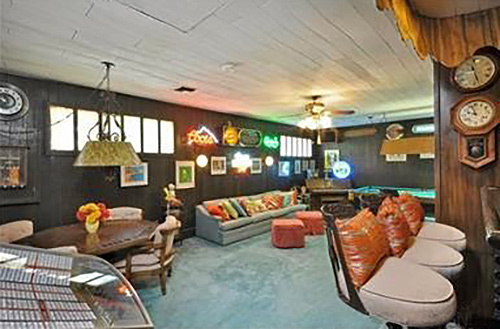 An actual picture of this rumpus room is noticeably absent from the publication of this ranch house. Despite the supposed over over-excited rumpusing that took place in these rooms photographs of these rooms, and the in use method of rumpusing remain oddly obscure. The below picture may aid your imagination of a west coast rumpus room that contained a bed in lieu of a closet. Bunk styled action and frontal rumpusing? Thus far, it can be concluded back east rumpus rooms were formed in otherwise useless basement space. On the linoleum, or synthetic couches, nefarious activities occurred which the participants did not want permanently recorded. 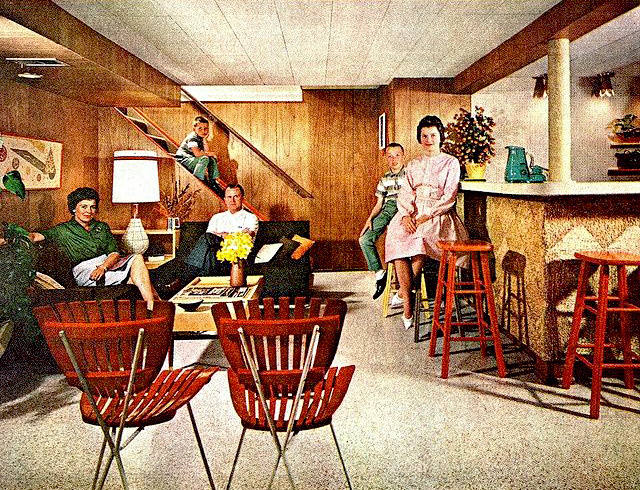 In higher end postwar homes envisioned by an architect hip enough to read about Case Study homes, rumpus rooms existed in small forms. Cousins might be stowed in a bunk bed while parents played bridge on a card table in front of the room. 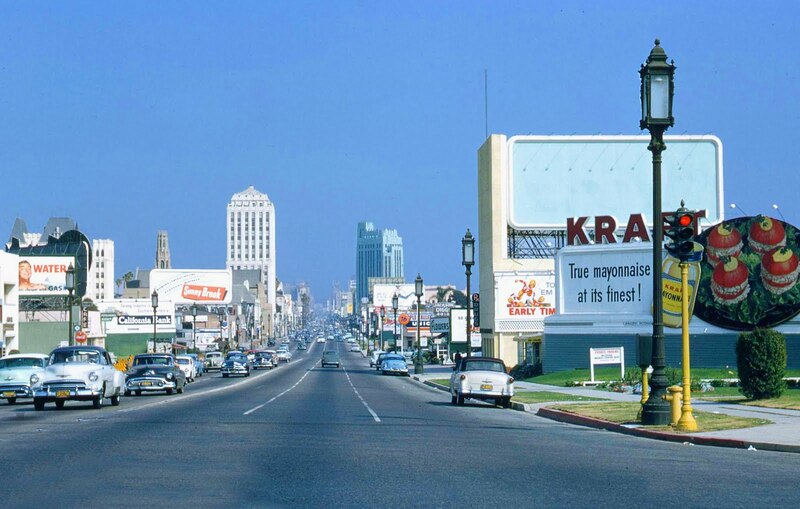 Rumpus rooms in San Fernando Valley tract neighborhoods undertook their own agendas. The rooms were created when two walls were added to enclose a former patio area in the back of a ranch styled tract home. These rooms were built on the grade of former patios. Former exterior doors served as passageways to the rumpus area. Occupants stepped down from raised foundations onto asbestos flooring tile, cork, occasional parquet, or hard surfaced terrazzo. Imitation wood paneling won out over plaster, drywall, and prevailing notions associated with permitted construction. These rooms were deemed, “Rustic.” The moniker, “Rumpus room” added allure to otherwise shoddily constructed rooms of unclear purpose and/or origin. Example of a porch ideal for a rumpus room enclosure. None of the homes in the Goodman’s tract were more than 2,000 square feet. A few corner lots were 7,100 square feet. Even the improvements exhibited sameness. The most common addition was a wall added to enclose an outdoor patio. These rooms built over former concrete sun decks typically lacked heating or air-conditioning. Instead of plaster or drywall, faux wood paneling created a hollow space between the new room’s lightweight framing and the imitation knotty pine. In the case of the Goodman’s den, there was heating and air-conditioning, but a lack of insulation. From the backyard, rain water came in through the bottom of the exterior door hung 1/8 of an inch above grade. From Modem Stud set in early 80s Sherman Oaks. To say the least, the den/rumpus room in this author’s 91401 childhood home greatly impacted his cognitive awareness. In his third novel, Modem Stud, the room covered in dark clay terrazzo was the primer den of software piracy before the greatest multiuser system before the internet sprang from the room. Can we equate the San Fernando Valley rumpus room with a Silicon Valley garage? Gershom slammed the door to the den so hard our parent’s framed ink stamps of silhouettes coming out of different silhouettes fell onto the terrazzo floor. Out of nowhere, his knife appeared in the burn hole the lamp made in the knotty dark brown crap that constituted the walls. A couple months before Papa died, Mother cashed his tax refund and bought a Sears sofa. The chocolate color Naugahyde started out soft, but obduracy set in and tore it. My younger brother Craig helped the tears widened. When sitting still, fine white synthetic threads poked through barely tickling my uncovered thighs, but whenever I moved I could not escape the scratch of the puckered gaps in the Naugahyde. By sixteen, I stood while watching television. Two years later, I fled the San Fernando Valley and the carpets under the sofa that smelled like cigarettes even though neither Craig nor Mother smoked. This well preserved tomb existed when a Hillview Estate in former Van Nuys was recently sold. By the end of the 1970s these rooms were no longer advertised as rumpus rooms. Contemporary forensic techniques indicate San Fernando Valley rumpus rooms have been repurposed. Knotty pine paneling has been replaced by drywall. Today these rooms masquerade as sunrooms, bonus rooms, dens, and family rooms, but not great rooms because of their obscure locations. Proper structural support is now hidden underneath drywall ceilings. Recessed lighting cans are the closest connections to the rustic beams that may still lie underneath more recently installed drywall. 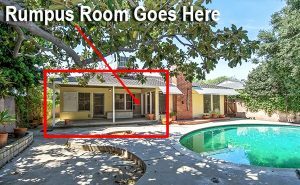 In 1977 the author’s mother read to her children several mimeographed real estate sheets for San Fernando Valley ranches that contained the odd phrase, “Rumpus room.” The peculiar word piqued the children’s curiosity. Recently when remarking the 1947 Sunset Homes for Western Living contained a floor plan that featured a rumpus room, the author’s eight year-old thought he was making up another word so soon after he uttered the word, “Bullwinkle” which sent the child into laughter for days. Tonight he asked again, what a rumpus room was, and whether it was just a place for Bullwinkle.